Michael Bracken, “Sibling Rivalry” in True Story (May 2017) as well as “My Second Mother” and “Fashion Disaster” in True Confessions (May 2017). Gail Farrelly, “Don’t Forget To Take Your Vitamins” in two parts at the Yonker’s Tribune. Part One appeared on May 23rd with Part Two appearing on May 25th. Joan Leotta’s poem, “Boats on Blue,” originally published the Dove Tales anthology, won first place in Wilda Morris' Poetry Challenge for May 2017. J. R. Lindermuth, “A Bad Draw of the Cards” at Rope and Wire (May 2017). Edith Maxwell, Mulch Ado About Murder, Kensington Books (May 2017). Jude Roy, “The Tattooed Corpse” in Mystery Weekly Magazine (May 2017) and "Mrs. Thibodeaux" in Gravel Magazine: Summer 2017. Today, Jake Devlin shares “The Cupcake Caper: Mystery Short Story” archived at Kings River Life Magazine. Earlier this month on the 16th, Peter DiChellis shared a story. He is back today with another as he shares “Murderous Lies” archived at Plan B Magazine. Earlier this month on the 19th, John M. Floyd shared two stories. Today, he is back with two more as he shares “Vanity Case” archived at Mysterical-E and the just published “A Thousand Words: A Mystery Short Story” at Kings River Life Magazine. It is Monday and that means Jan Christensen is back today sharing wisdom….. I have used the “Look Inside” feature on Amazon more and more when making a decision to buy a book or short story, especially if the author is new to me. And I’ve been rejecting several lately because they have what I consider a fatal flaw. They begin with a character alone and musing. I admit that some readers don’t mind this at all. But some will become quickly bored if the musing goes on too long, which it usually does. Musing, by definition, takes some time. In my opinion, it’s better to get right into the story and fill in the backstory when needed. Using the character is thinking about the past, after all. What should the first line of your story do? Grab the reader, of course. How do you do that? For modern writers, usually having something exciting happen works well. Involve at least one sense, and you’ll do even better. 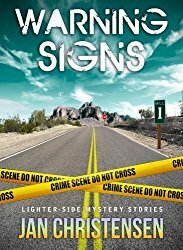 The main character hears a scream, smells smoke, sees an airplane nosediving from the sky, touches something icky, tastes something odd. To complete the first paragraph or sentences, be sure to plant the reader someplace specific. The character is most likely not floating out in space. Having her on the move is a good move. Some bit of action that nails the setting helps. Preferably physical action on her part, not in a car. A train might be okay. An airplane will work if she hears a scream or smells smoke or feels the plane taking a nosedive. Whatever you do, don’t have the character waking up or just sitting around someplace thinking. To recap, have your character’s senses on alert. Set your character in a specific place, and use a small bit of description to plant the reader. And finally, show the reader how your character is reacting emotionally to what’s going on around her. A good exercise is to write down in your reader’s notebook every first line and paragraph you read that pulls you into the story. This includes first lines of scenes, not just the first line of a short story or novel. And perhaps also write down those that you feel are not very good. Today, Kevin R. Tipple shares “The Tell: Mystery Flash Fiction” archived at Kings River Life Magazine. Today, Martin Roy Hill shares “The Touch of Time” archived at Crimson Streets. Today, Karen Pullen shares “Lady Tremaine’s Rebuttal” as well as “Brown Jersey Cow” and “Snow Day” all archived at Every Day Fiction. Today, Jacqueline Seewald shares “Genesis” archived at Over My Dead Body! Today, B.K. Stevens shares “A Joy Forever” archived at her site. Today, Martha Reed shares “The Haunting Of Dalton Primble” archived at Spinetingler Magazine. Today, KM Rockwood shares “Liquor Store Holdup” archived on at KMRockwood.Com after appearing in Jack Hardway's Crime Magazine - Vol. 2, No. 2, March-April 2015. Monday means Jan Christensen is back today with another informative post. Apparently, the difference is more complicated than novels have a lot more words. An easy way to visualize the difference between writing short or long is to think of pencil sketches for the short story scene--everything is there, but the details are scanty. Each scene is fully developed, with dialog, a bit of description/setting, and what the characters are feeling and how they're acting. Usually the time frame is short and the viewpoint is all one character's. For example, a sketch of a kitchen with the sun shinning in the window (time of day, maybe season), one person facing the viewer (VP character), the background sketchy (pun intended), people black and white, but dressed (or maybe not, if it's that kind of story), but the clothes are probably not that important. If they are, there's more detail--more lines drawn to indicate type of clothing. Each character wears a certain expression--the viewer can pretty much tell what each one is thinking. A novel is more of a series of oil paintings. Each one has a colorful background (description/setting), the characters are vivid, and each succeeding painting can be shown with different viewpoint characters and over a longer span of time. The sun is shining in the first picture, but the moon is hanging high in the sky later on. The tree outside can have leaves one time, and none later on. Different characters are the focus of each painting, indicating a change of VP. Clothing is interesting, and sometimes important to the story. Each kind of story, whether short or long, has its own special pull. The quick sketches of a short story where the reader gets to add her own details to fill out the story, but where the story is over quickly. The oil paintings of the novel where the artist puts in everything for the reader, so the reader can go along with the writer more, and where the story is much longer with more characters, more settings/descriptions, more dialog, even subplots. If you are a visual person when writing and reading, as I am, this metaphor for the differences between writing long and short can help you, I believe, with each scene. While writing a short story, see the scenes as pencil sketches and "report" what you see. While writing a novel, see each scene as an oil painting with all its rich detail, and get it all down. I was writing a short story a while ago, and about halfway through realized I'd put in nothing about setting or the weather. It came to me then that a short story is more like a pencil sketch than a novel, and so I stopped what I was doing to write this essay. After I finished the essay, I fleshed out the setting and weather details in the story with only a few sentences. Then, when I wrote “the end” to the story, I felt as if I did a complete job of it. Anyone else tend to forget mentioning settings enough, and the weather? Sometimes they really don’t matter that much, in my opinion. But I bet some readers disagree with that. 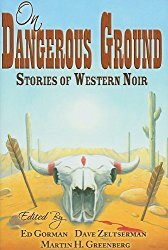 A roundup of short mystery fiction currently available to read both in print and online. Includes mention of several SMFS members. Today, Craig Faustus Buck shares via PDF link the short story “Blank Shot” published in the Black Coffee anthology (2016) edited by Andrew Macrae. SMFS congratulates B.K. Stevens and Art Taylor for their 2017 Anthony Award Nominations. B. K. Stevens was nominated in the "Best Novella" category for her story, "The Last Blue Glass" published in the April 2016 issue of Alfred Hitchcock Mystery Magazine. 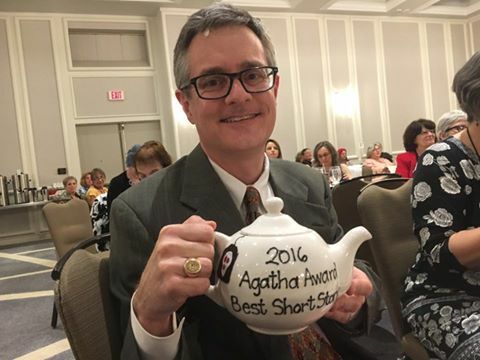 Art Taylor's Agatha award winning story "Parallel Play" published in the anthology Chesapeake Crimes: Storm Warning is a nominee in the "Best Short Story" category. Also nominated in the "Best Anthology" category is Blood On The Bayou: Bourchercon Anthology 2016 featuring the short stories of a number of SMFS members. The full list of nominees can be found at the Bouchercon 2017 website. Winners to be announced on October 15, 2017 at Bouchercon 2017. Today, Jan Christensen shares “Grave Matters: A 4rth of July Mystery Short Story” archived at Kings River Life Magazine and "Just A Man" at Mysterical-E.
Today, John M. Floyd shares “Saving Grace” archived at The Saturday Evening Post as well as “Doctor in the House” in the Spring 2017 issue of Flash Bang Mysteries. Today, Liz Milliron shares “Decision Points” archived at Mysterical-E.
Today, Debra H. Goldstein shares “A Garden for Adonis” archived at Texas Gardener’s SEEDS. Today, Peter DiChellis shares “They Die in Eight Minutes” archived at Shotgun Honey. Today, J. H. Bográn shares “The Little Wig Factory” archived at Short-Story.Me. Today, Maddi Davidson shares “Gold Rush To Judgement” archived at The Copperfield Review. Today, BV Lawson shares three stories archived at various sites. 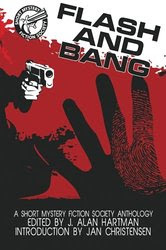 “Gun Love” from Plots With Guns and “Wrong Side of the Bed” at The Cynic Online Magazine as well as “But for the Grace of God” at Powder Burn Flash. Today, Robert Lopresti shares “Shanks Holds The Line” archived at Trace Evidence, the blog of AHMM. Today, James Dorr shares his “paranormal detective story” archived at Daily Science Fiction titled “Dead Lines.” James adds that the tale is also “…intended as a tip of the hat to Edgar Allan Poe as a father of the detective genre.” While at the site, James has another story, "Casket Girls" in the archives for your reading pleasure. StoryADay.org proclaimed May International Short Story Month back in 2013. As the short story, in the mystery genre is the reason why the Short Mystery Fiction Society exists, we join in the celebration each year. The SMFS spin on festivities is to highlight one or more members' online stories per day. Today, Gail Farrelly shares her three-part story, “Keys to the Kingdom” archived at the Yonkers Tribune. The SMFS spin on festivities is to highlight one or more members' online stories per day. Today, Victoria Weisfeld shares her 2017 Derringer winning story “Breadcrumbs” archived at her website. The SMFS spin on festivities is to highlight one or more members' online stories per day. Today, O'Neil De Noux shares his story “Friscoville: A Lucien Caye Story” archived at Thrilling Detective and “The Forever Choice” archived at The Saturday Evening Post. Victor Banis has his muse Snotty. Other writers and artists have had muses throughout the ages. A muse is defined as: a spirit or source that inspires an artist. Some famous writers, such as Hemingway, used real women as their muses, then married them. Unfortunately, the muses often divorced the writers. I don’t know what that did for the writing of the writers, but it couldn’t have been very good in the short term. In the long run, it may have inspired a lot of writing, especially about what women are like. Or what they thought women were like. Do those who write both short stories and novels have different muses for each length? Would there be any upside in doing that? I think there might be. The short muse (of course short in stature) is direct, to the point, pithy, impatient. The long muse (tall, of course) is wordy, slower to react, and patient. Or perhaps one muse has a split personality. For me, besides joking about the aunts in the attic and the Mad Hatter, I don’t really have any muses that I call on regularly. When muses are mentioned, I think of the aunts and the Hatter, but otherwise, not very much. In order to really get ideas, I suggest more concrete tactics. To start, just pick something, anything. Animal, mineral, vegetable. Rock, paper, scissors. Then pick another and another. It would help if they are not usually associated with each other. An animal with scissors, for example. Next write whatever comes to mind for as long as you can. Eventually you most likely will get stuck and not know what to write next. Ask yourself, what if, and list all the things that could possibly happen next. Pick one, or combine some, and off you go again. It can be weird, strange, unlikely, odd, whatever. Quirky is good. The SMFS spin on festivities is to highlight one or more members' online stories per day. Today, Earl Staggs, shares his 2004 Derringer Finalist short story, “Silky’s Getaway” archived at Kings River Life Magazine. The SMFS spin on festivities is to highlight one or more members' online stories per day. 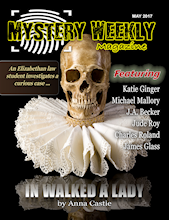 Today, Jude Roy shares “Murder on Bayou des Sauvages” found in the current issue of Mysterical-E. The SMFS spin on festivities is to highlight one or more members' online stories per day. 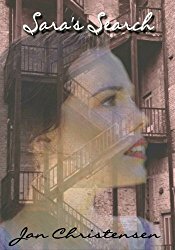 Today, Terrie Farley Moran shares her 2017 Derringer for Best Novelette winning story, “Inquiry and Assistance” archived on her website. The SMFS spin on festivities is to highlight one or more members' online stories per day. Today, Diana Deverell shares “Dirty Bop to Blighty” originally published in Alfred Hitchcock Mystery Magazine: September 2010. It was then serialized in three parts at The Norwegian American last summer. Part One is followed by Part Two and Part Three. As posted here last Sunday Art Taylor won the 2016 Agaatha Award for his story, "Parallel Play." In his blog posting, Art recaps a very special event. You can, and should, read it here. The SMFS spin on festivities is to highlight one or more members' online stories per day. Today, 2016 Golden Derringer winner Michael Bracken offers up two reads. “My Client’s Wife" archived at Thrilling Detective and "Let Dead Dogs Lie" archived at The Molotov Cocktail.